This is a cover of a song by Canadian singer Jean-Pierre Ferland. 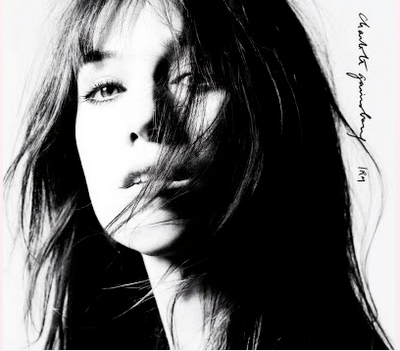 It is the third track on the Charlotte Gainsbourg album, IRM. Beck produced the whole album. His production on this cover is highlighted by some creepy awesome strings, and one of my favorite songs on the record. Beck of course has long been a fan of, and often influenced by, Charlotte's father, Serge Gainsbourg. With this record though, in general, he tried to avoid referencing Serge. Beck told one interviewer however that this song was an exception to that rule, a "French-Canadian song recorded back in the 60s and probably influenced by Serge. It was such an outstanding piece of music and Charlotte got the humor of the lyrics right away." The lyrics are frankly existential, and remind me very much of novels by Louis-Ferdinand Celine, which Beck has referenced a few times. It's no surprise that he was attracted to this song. To cover the song, Beck created a very Sea Change-y sort of piece, with a light throbbing rhythm (I always love when Beck plays bass) and some heavy sighing strings (courtesy of Beck's father). The strings move and breath, like on Sea Change, like a Serge song. It definitely gives the album some depth; the first couple tracks were percussive electronic songs, but this cover brings in some more natural music and emotion.